President Trump’s recently selected choices to the fill the Presidential Advisory Council on HIV/AIDS are rankling some observers. Critics say the appointments fail to address social determinants of health, including homophobia and transphobia, rely too heavily on the pharmaceutical industry and leave out Republicans with records of fighting HIV/AIDS. The nine members were selected last week — joining co-chairs Carl Schmid and John Wiesman — in the aftermath of Trump announcing in his State of the Union address a pledge to end new HIV infections in the United States by 2030. 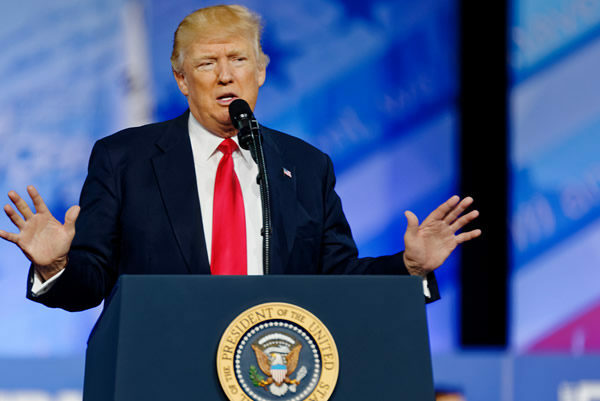 Scott Schoettes, HIV project director for Lambda Legal, said he’s “glad to see” the posts filled, but had concerns about addressing the social determinants of health and the Trump administration waiting to make the choices until after the plan was unveiled. Schoettes is a former member of PACHA who was appointed during the Obama administration, but was among six members who resigned in June 2017 over Trump’s perceived inaction on HIV/AIDS. “I’m hopeful that the administration will pay more attention to these individuals than they did to the members while I was serving, but I’m not sure that they will,” Schoettes said. In December 2017, Trump sacked the remaining remembers of PACHA without explanation via letter from FedEx, as first reported by the Washington Blade. It wasn’t until 15 months later that Trump would finally restaff PACHA with the nine new members. Created in 1995, PACHA has provided advice to U.S. presidents on policy and research to promote effective treatment and prevention for HIV — maintaining the goal of finding a cure. Asia Russell, executive director of the New York-based Health GAP, said the appointments demonstrate Trump “doesn’t give a damn” about PACHA being truly diverse, citing in particular the appointments from the pharmaceutical industry. “His appointment of representatives of pharmaceutical companies that profit directly from government refusal to address price gouging is unethical,” Russell said. Jim Driscoll, a Nevada-based HIV/AIDS advocate who supported President Trump in the 2016 election, was among those dissatisfied with the apparent lack of Republicans. Jerri Ann Henry, executive director of Log Cabin Republicans, said she knows Republicans who have been involved with her organization and “unhappy to have been passed over,” and echoed the concerns about no Republicans. Schmid, who in addition to serving as PACHA co-chair is deputy director of the AIDS Institute, said in response to criticisms Secretary of Health and Human Services Alex Azar is responsible for the appointments, but in defense of the appointments said the claims were off base. “I tend to think people keep their party affiliation private and it is not my business, it is their private personal matter,” Schmid added. In terms of diversity, Schmid said six out of 11 of the members are gay, including two black gay men and one Latino gay man. Schmid said during the PACHA meeting last week he announced the new appointments were just the first round and more should follow in the aftermath of Trump unveiling a plan to beat HIV/AIDS by 2030. “I listed a number of people we are looking for: More people living with HIV, more women, younger people, trans people, injection drug users, reps of tribal and faith communities, local government, philanthropy, community health centers, people who focus on Hepatitis, STDs, different disciplines and geographic diversity,” Schmid said. The Department of Health & Human Services didn’t respond to the Washington Blade’s request for comment on the criticism of the PACHA choices. Among the first orders of business for the newly appointed PACHA was approving a resolution in support of the Trump administration’s “Ending the HIV Epidemic” plan. “As part of this assistance PACHA will focus on reducing the stigma often associated with HIV, as well as the numerous disparities and social determinants of health that impact HIV in the United States,” the resolutions says. The resolution says PACHA will work with the administration to ensure the plan is sufficient not just for the first year, but for future years until meeting the goal of no new infections by 2030. The PACHA members will have their work cut out for them. In addition to advising Trump on HIV/AIDS as he pursues his goal, PACHA is charged with providing counsel on the National AIDS Strategy, which is due for an update in 2020. It remains to be seen what recommendation PACHA will make. A progress report from the Trump administration last year on the National AIDS Strategy adopted Obama-era goals in combatting HIV/AIDS, which includes reducing the rate of new diagnoses among gay and bisexual men. The observers critical of the PACHA choices, however, raised questions about whether the administration was making a serious commitment to achieve its goal in stopping HIV/AIDS. Cited as evidence of concern was Trump’s fiscal year 2020 budget request. Although the request calls for $300 million to beat HIV/AIDS, the budget slashes global HIV programs and cuts Medicare and Medicaid, programs on which many people with HIV/AIDS rely.